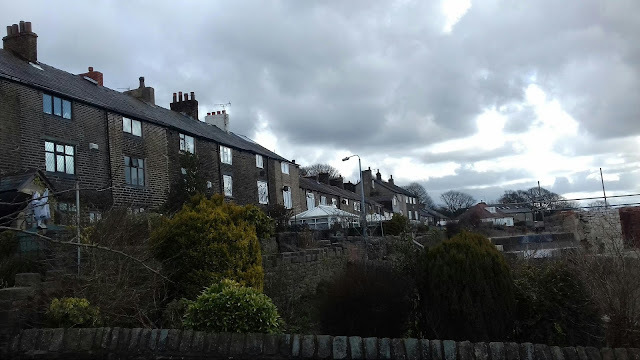 The Mason's Arms beerhouse was originally the home of Thomas Turner and his family. 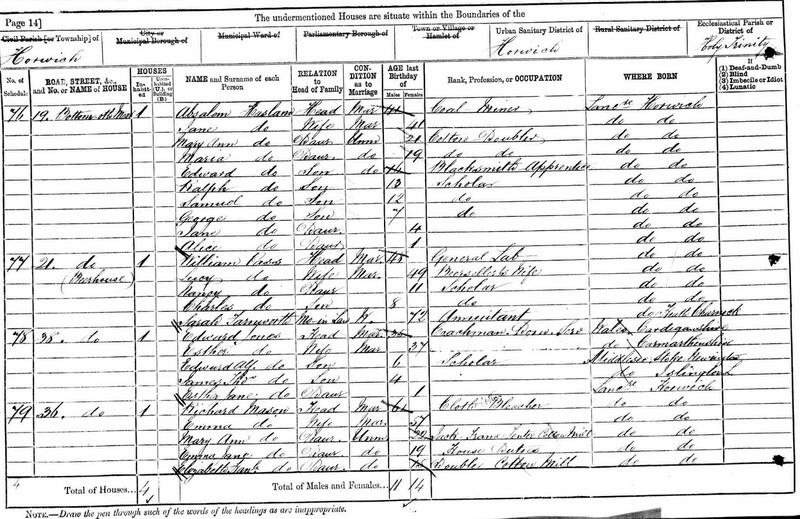 Thomas is listed as a "Stone Mason, Grocer and Beer Seller" on the 1871 census below. 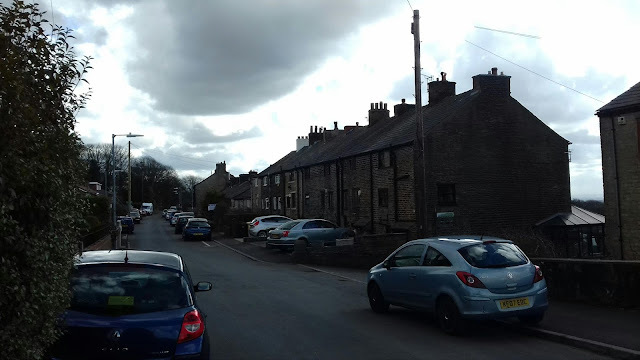 The postal address of the property, like many in Horwich was subject to change over the course of the second half of the 19th century and whilst it started off as no.27, the census records below confirm it was later listed as no.21 and finally 55 Bottom o' th' Moor. 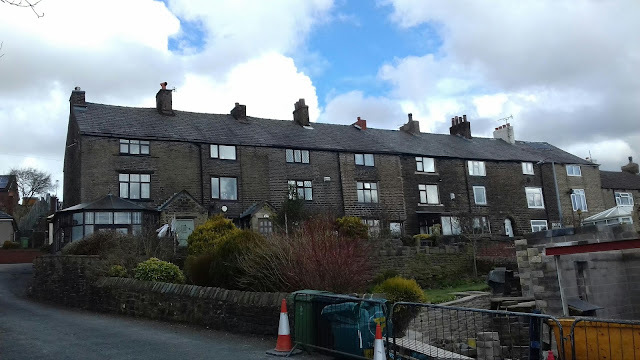 Listed landlords at the property were Thomas Turner (1869-1872), Nancy Turner (1872-75), William Pass (1875-84), Robert Turner (1884-95) and Thomas Bower (1901). 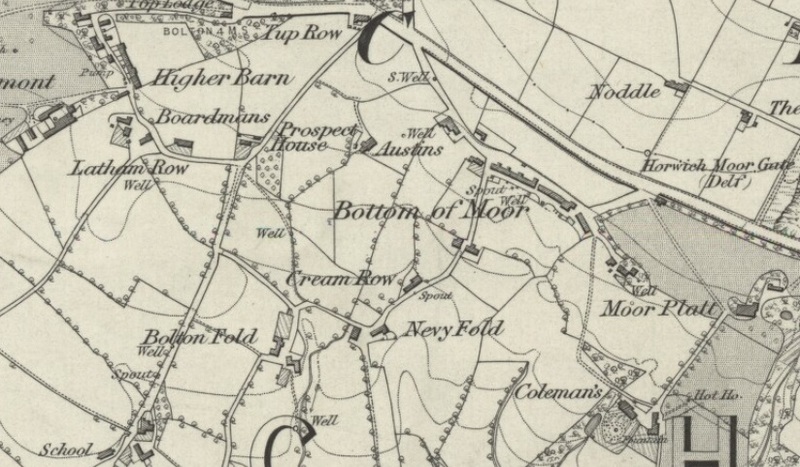 Following Thomas Turner's death in 1872 his wife Nancy continued to run the business until 1875 when the following announcement was made in the local newspaper. 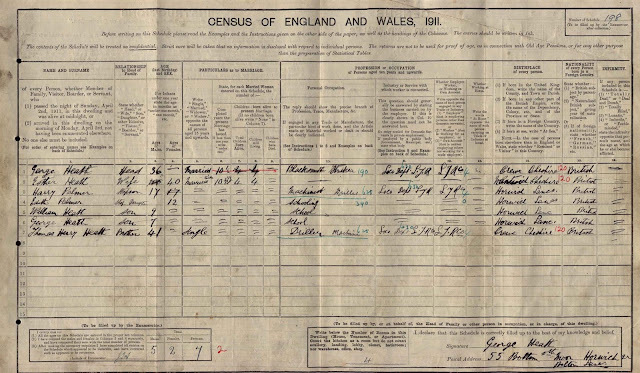 License at the Masons' Arms, Horwich transferred from Nancy Turner to William Pass. 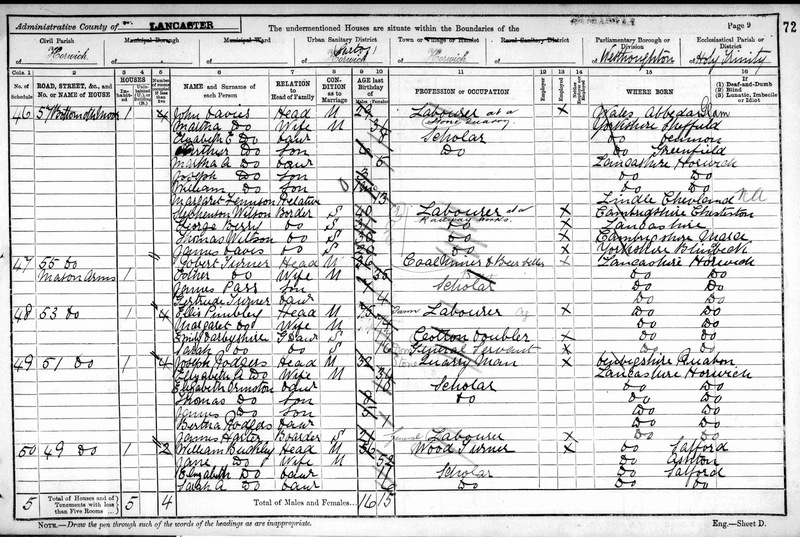 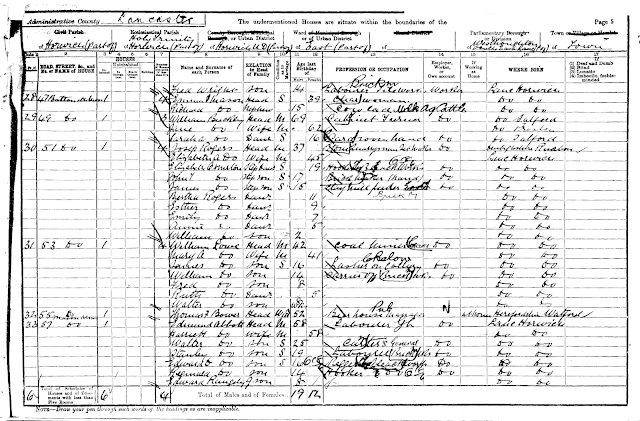 In 1881 William Pass is recorded on the census record as a general labourer but his wife Lucy's "occupation" as "beer seller's wife" confirm the beer house was still running. 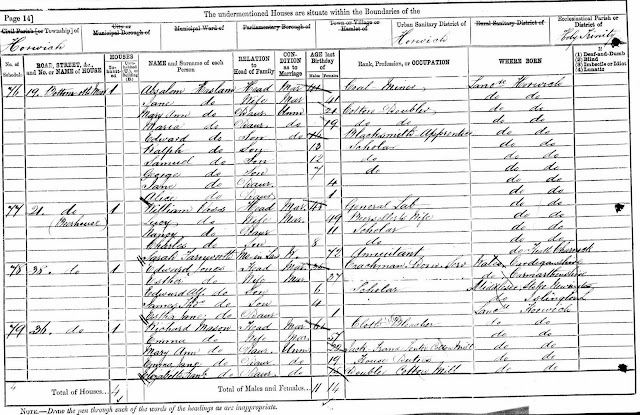 William Pass died in 1884 and sometime before 1891 the Mason's was taken over by Robert Turner, the son of the original landlord, who was working as a coal miner and beer seller. 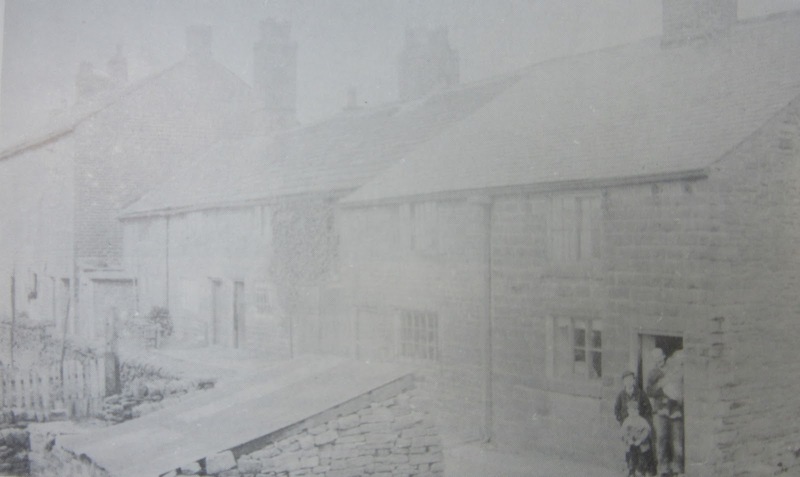 Shortly after this Robert Turner moved into the town to run the Saddle Inn on Lee Lane and by 1901 new the landlord was a Thomas Bower. 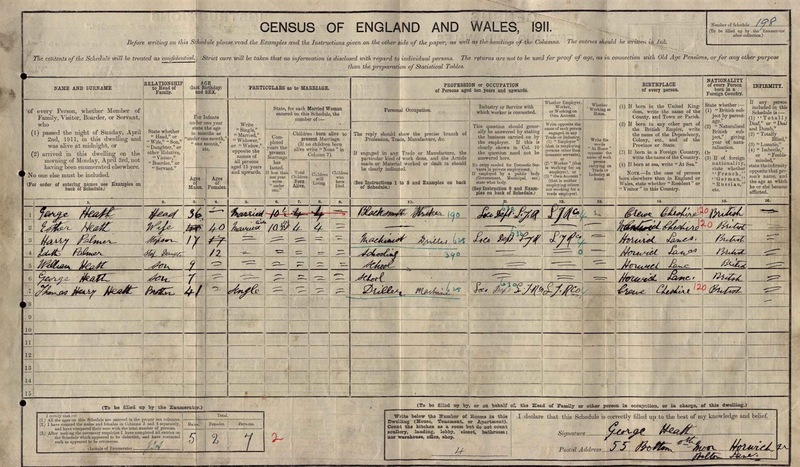 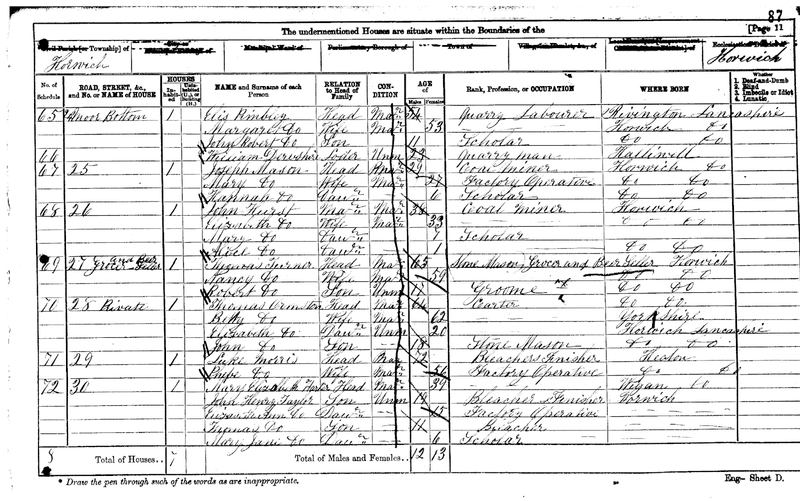 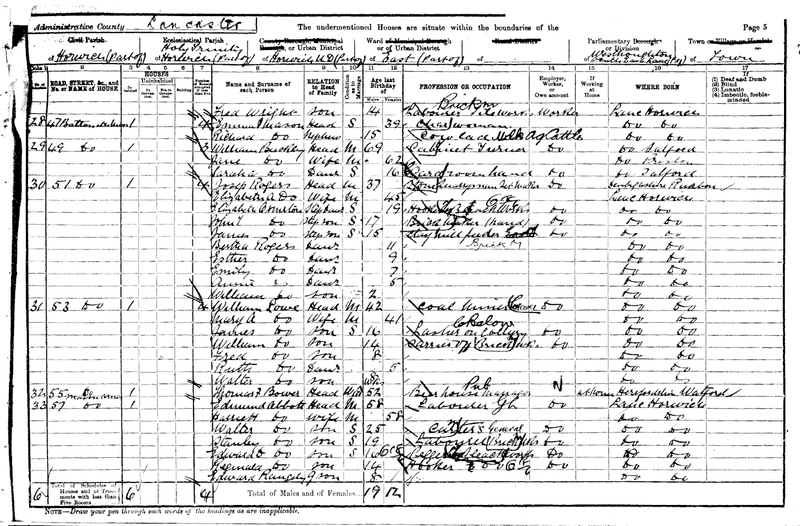 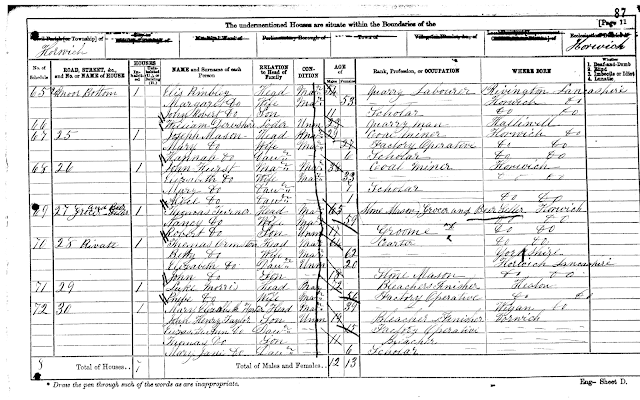 It is not known when the Mason's closed its doors to the beer trade but the occupant in 1911 is recorded as a Blacksmith working on the railways so it may have already closed by the time of the 1911 census.